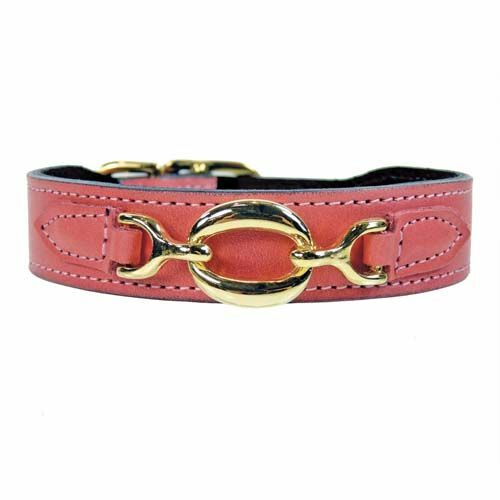 A timeless and elegant handmade dog collar of dual pink Italian leather, with gold plated fittings, available in different sizes. 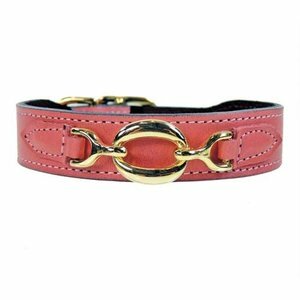 A beautiful handmade dog collar from 100% pink Italian leather. The collar is a timeless and elegant design with a ploished gold plated round ornament in the middle of the collar. This has been secured with leather. Because the collar is lined with soft black Italian leather, the dog collar is very comfortable for your dog. The decoration and fittings of the collar are made of polished 22 karate gold plate. Please note that this is a handmade product that is made exclusively for each order. 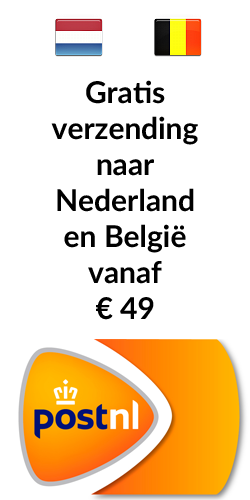 Please ensure that you order the right size, color and width.